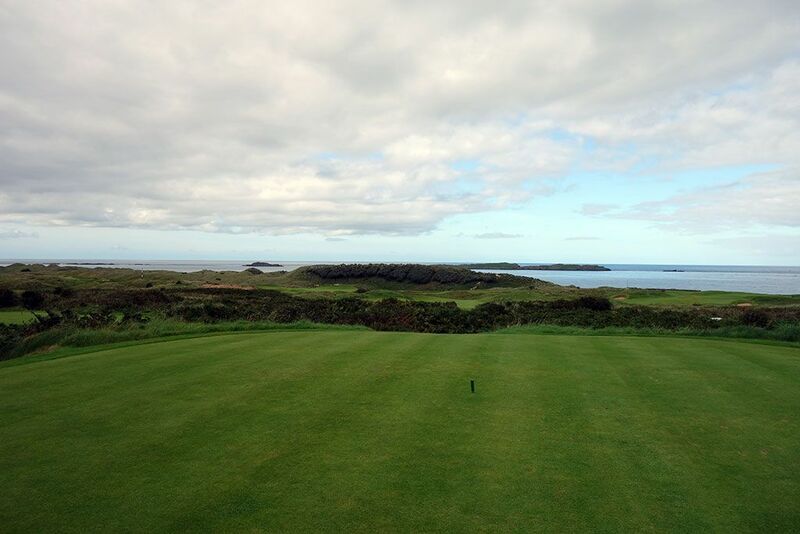 Course Website: Official Website - Visit Royal Portrush Golf Club (Dunluce)'s official website by clicking on the link provided. 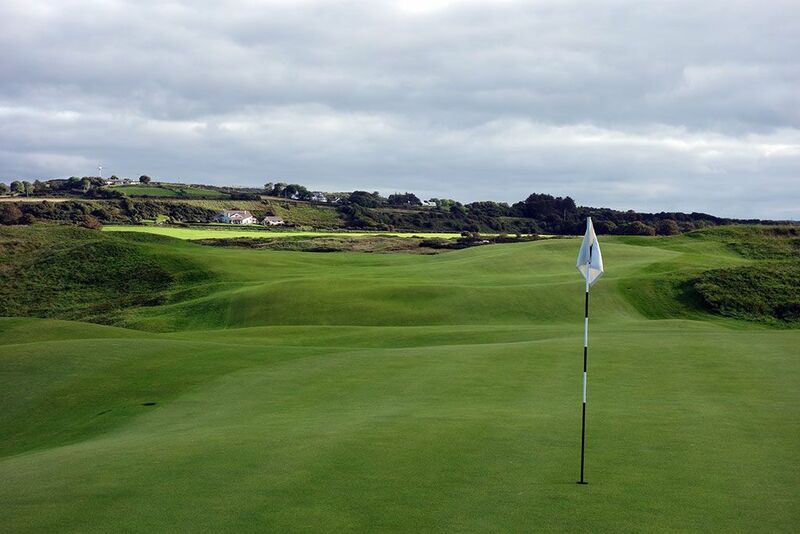 Accolades: Ranked 5th in Ireland by Golf Course Gurus. 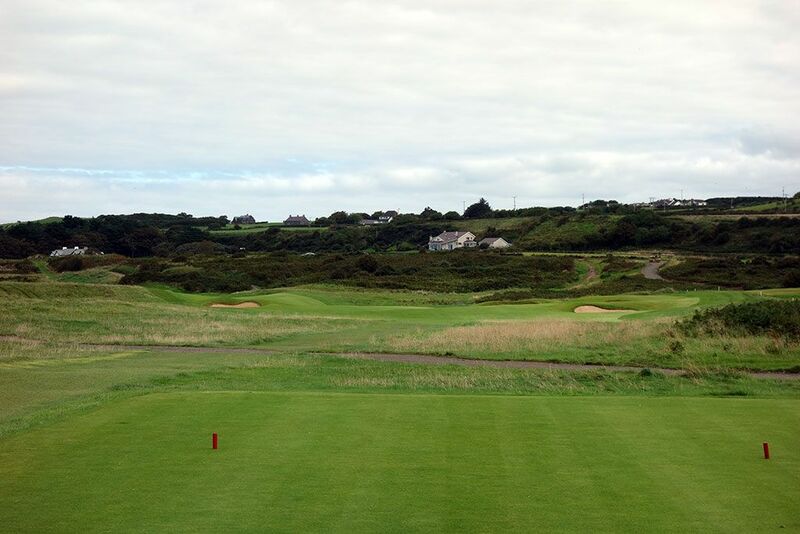 What to Expect: The only course to host a British Open in Ireland is the famed Royal Portrush that brought in the world's best players in 1951 (Max Faulkner winner) and will again in 2019. 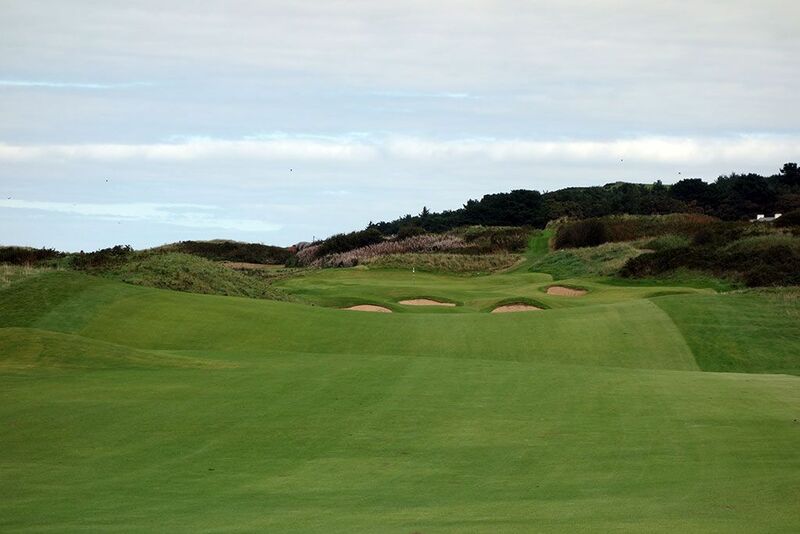 However the 2019 version of Royal Portrush will be slightly different than the 1951 offering due to a request from the R&A that felt the finishing holes weren't championship worthy. As such, the current 17th and 18th holes are being abandoned and the 16th hole will act as the finisher. 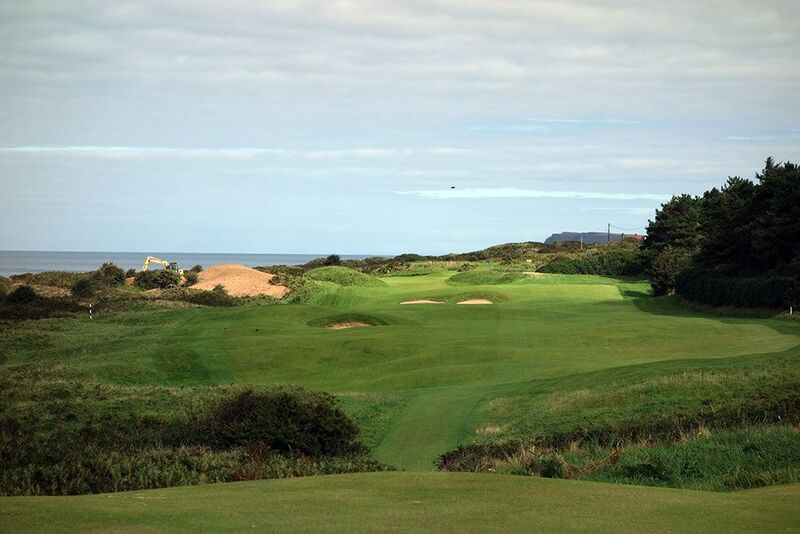 To make up for the lost twosome, a new 7th and 8th holes (par five and par four respectively) have been designed through a valley located after the 6th hole and will be prove to be pivotal in the Open Championship even though they are located early in the routing. Darren Clarke's home course is located on the very northern tip of Northern Ireland bordering the Atlantic Ocean and features one of the best introductions to the course in the world; as you drive on the coastal road leading to Royal Portrush you suddenly come over a hill and are presented with a stunning view of the expansive links property draped on the land with the ocean hugging its borders. The best views while on the course come early in the round as you climb to the highest point on the property with the ocean, white cliffs, and neighboring holes all in view. 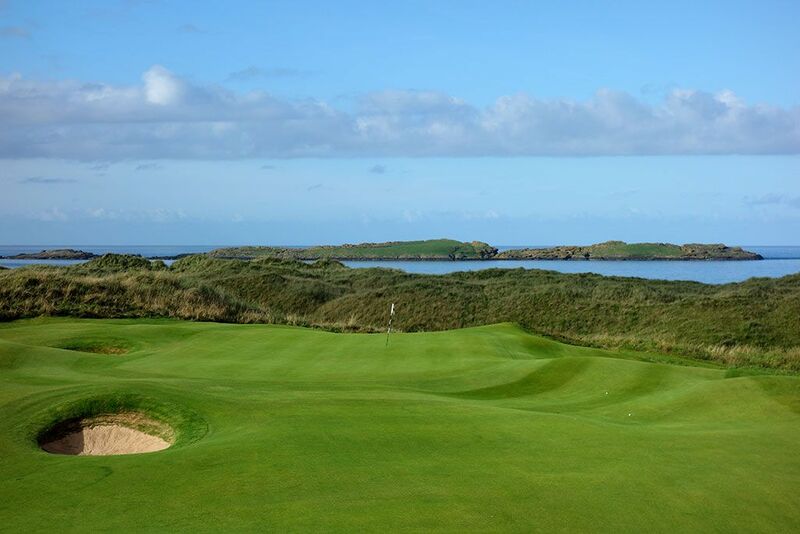 Holes 4, 5, and 14 (soon to be 16) stand as three of the finest holes you'll discover when golfing on the Emerald Isle with excellent shot values and scenery. 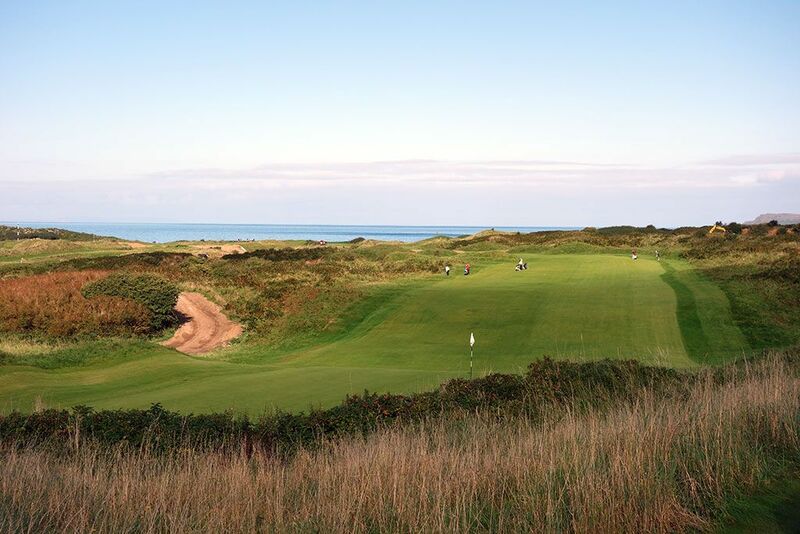 The fairways and greens are pretty generous in size which lends to good scores when the wind is down and increased playability when the wind is up. 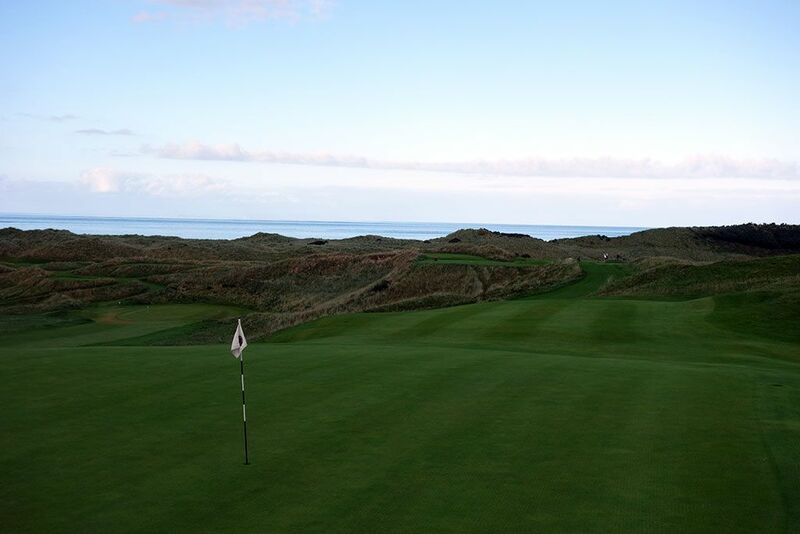 As you might expect at a club of Royal Portrush's stature, the conditioning is outstanding and the green complexes are exceptional. Manual and electric trolleys are available for those that don't want to carry their bags on their back, but you won't find any carts/buggies at this walking-only course. 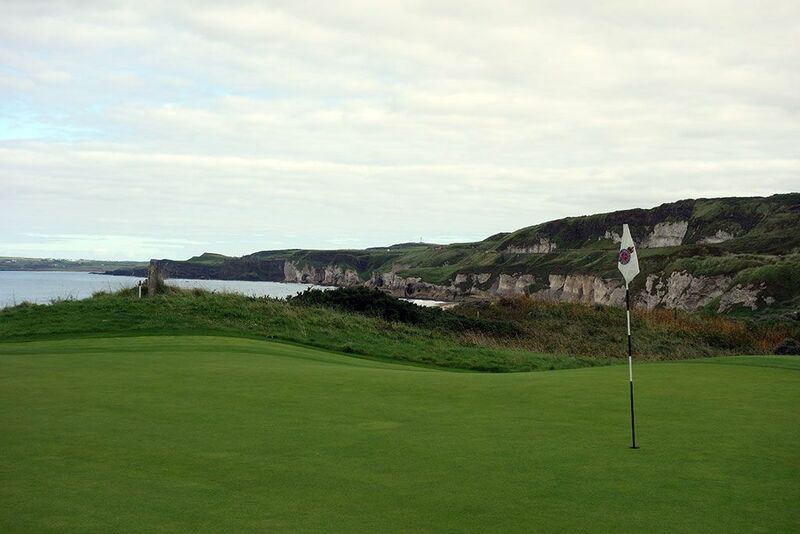 Signature Hole: 5th Hole – 411 Yard Par 4 – (White Rocks) - Portrush's most visually stunning hole is this downhill par four that doglegs right and finishes on the cliff edge 50 feet above White Rocks Beach. Formerly known as one of the few great holes in the world that is devoid of bunkers, the 5th had fairway bunkers installed in preparation of the 2019 Open to put a premium on driving accuracy. The fairway begins doglegging 250 yards from the back tee and can cause players some doubt on whether to challenge the dogleg with their driver or play less club safely up the middle and accept the longer approach. The green has a severe ridge in it which creates a two-tiered putting surface that effectively shrinks the target on approaches and toughens up the putting scenarios. Best Par 3: 16th Hole – 210 Yards – (Calamity Corner) - A very testing one-shotter late in the round, the 16th almost guarantees that someone in your foursome will come up short enroute of their pursuit to reach this green. 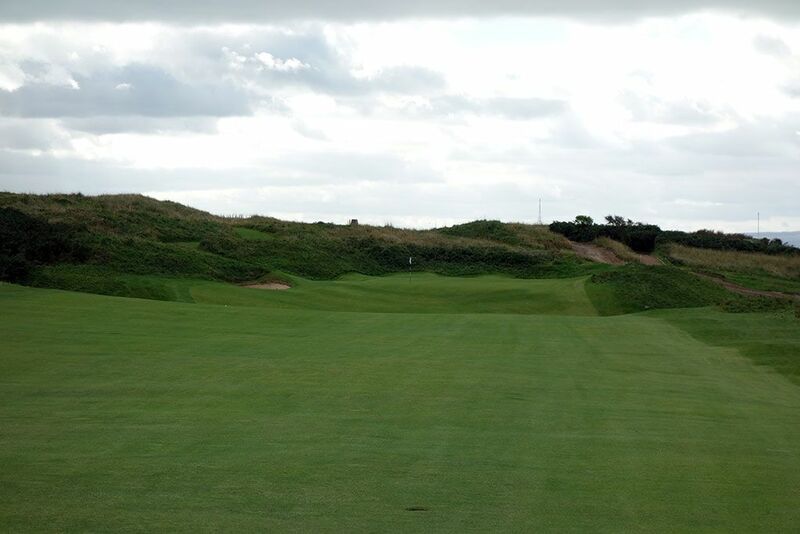 210 yards is demanding enough to conquer, but the hole plays more uphill than it appears from the tee which is a deadly scenario considering the large chasm that fronts this green and then continues to run along its right edge. Getting up and down from the gnarly grass laced chasm is extremely unlikely and players should be happy with a bogey if they find themselves there. The signature hole of the back nine, Calamity Corner lives up to its name. 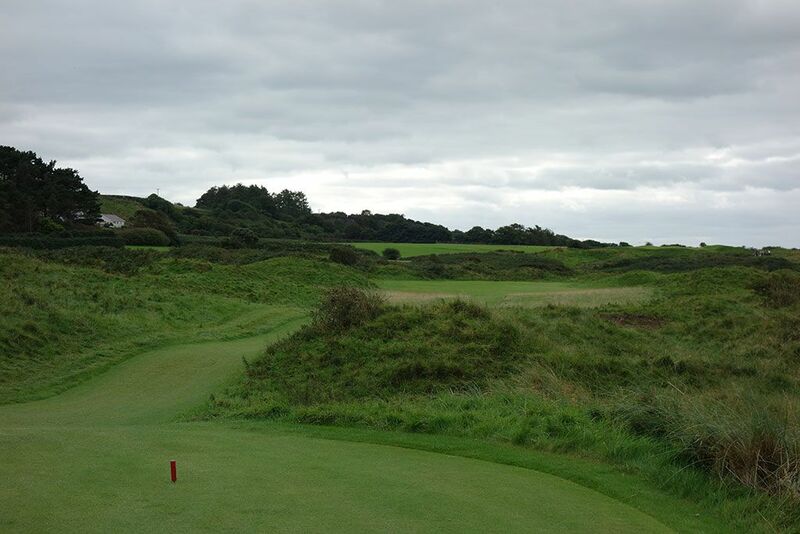 Best Par 4: 15th Hole – 418 Yards – (Skerries) - In a similar manner as the 8th at Pebble Beach, the tee shot on the 15th is a bit prosaic but then explodes onto the scene with the best approach shot on the course. 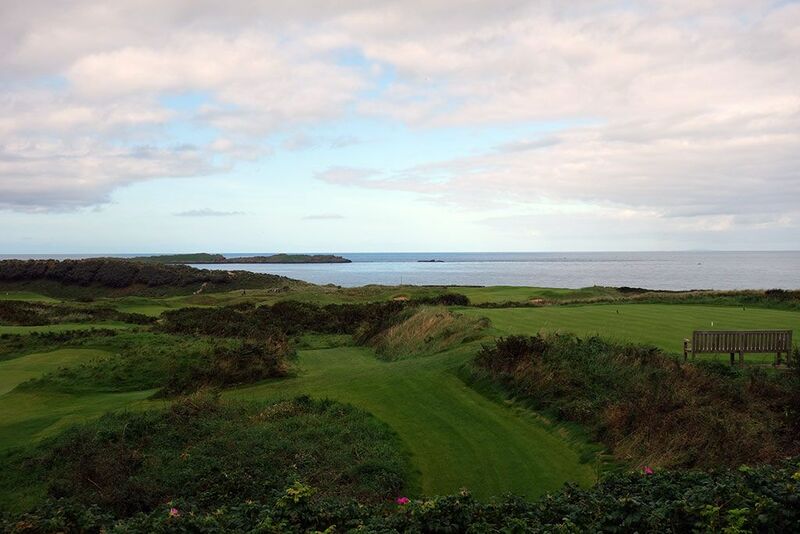 As players climb from the lower tee box and crest the ridge of the fairway, they are presented an inspiring view of the water and Skerries Island in the distance. 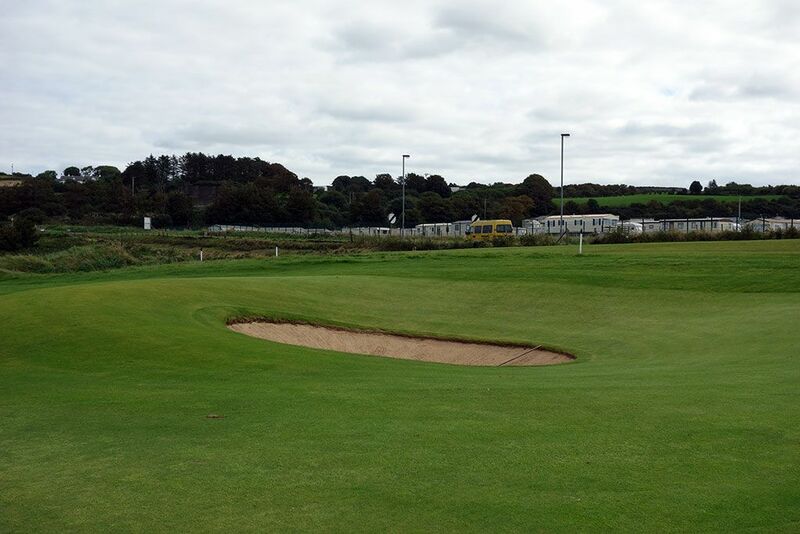 The approach shot plays to undulated ground fronting the green and a testing putting surface. Two deep bunkers lie in wait to create havoc to your scorecard, one well short of the green and another left of the putting surface. Colt manages to deliver a pair of excellent holes (15 and 16) late in the round before routing the course back to the clubhouse. Best Par 5: 2nd Hole – 572 Yards – (Giant's Grave) - The ascension up the dogleg left 2nd hole is encumbered by bunkering around the corner of the dogleg putting a premium on driving accuracy before making a decision on how to approach the green. With a collection of five bunkers scattered across the fairway in front of the green, players must decide whether they want to gamble going for the green in two or whether to settle for laying up and attacking the putting surface with a wedge. Views from the 2nd green are some of the most impressive at Portrush as players stand near the highest point on the course. Birdie Time: 11th Hole – 475 Yard Par 5 – (Tavern) & 17th - 391 Yard Par 4 (Purgatory) - As a par five, the 11th is an excellent opportunity to score birdie with the hole tipping out at 475 yards. The valley false in front of the green stands as a collection area for approach shots coming up a bit short and thus forces the player to get up and down to secure the birdie. Since I'm totally convinced this hole will play as a par four during the 2019 British Open, I felt it was worth noting an additional birdie opportunity. The downhill 17th hole, Purgatory, is a rumbling and tumbling hole that plays well downhill to a blind fairway which is why a large aiming target on a pole is positioned behind the green. The undulated fairway can create some interesting kicks to your ball for better or for worse, but getting birdie here is one of your best opportunities on the course and fun to have so late in the round. 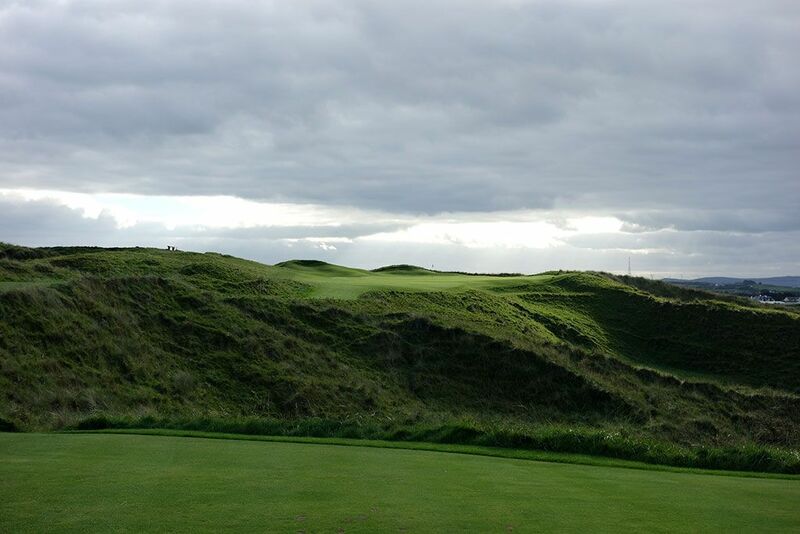 Bogey Beware: 4th Hole – 479 Yard Par 4 – (Fred Daly's) - Perhaps my favorite hole at Royal Portrush, the 4th is a serious test and gets a little less attention compared to some of the more famous holes at this Northern Ireland treasure. 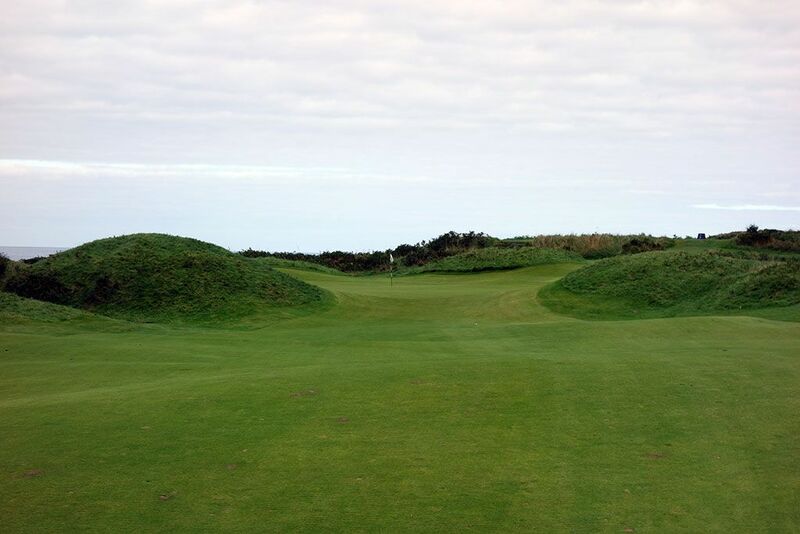 This challenging one-shotter features three bunkers in the middle of the fairway to contend with enroute to reaching the green and can cause a devastating blow to any aspirations of scoring a par on this beast. The greensite is protected by a pair of grass-covered dunes in the front and a falloff dune to the rear. Views of the ocean are afforded throughout this hole with particularly impressive vistas being offered from the elevated tee and the greensite. Nothing less than two long and accurate shots will be needed to avoid bogey here.